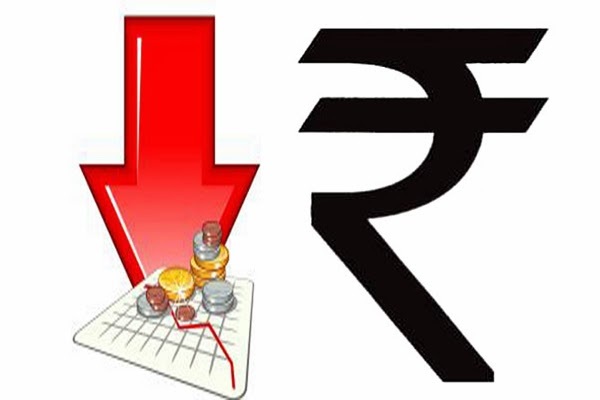 The volatility exhibited by the rupee in August 2013 and the continuing uncertainty about its future course is one unambiguous sign that the Indian economy is going through troubled times. This is something that few would dispute. However, the instability of the rupee may be more than a temporary problem. It could be instead be only one manifestation, and an important one, of the capitalist growth and accumulation regime in India of the last two decades having run its course. A set of mutually reinforcing rather than self-correcting imbalances inherent in that regime have grown over time and now come to a head. Insofar as capitalist conditions are what we are talking about, a severe crisis and even a protracted one may be the only way balance or equilibrium can be restored until a new basis for accumulation is found. However, what the future holds is not a given. What will eventually result and with what speed will of course depend on the development of the social and political consternation that already exist in Indian society and which will assume greater intensities and take new turns and directions as a consequence of the crisis. The volatility exhibited by the Indian rupee has a definite background wherein a combination of macroeconomic problems has been confronting the Indian economy, none of which have emerged suddenly. » » Inflation has remained at high levels for seven years running and is showing no signs of abating. Moreover, what is significant is that inflation rates in India in this period have been higher than in the other major economies of the world, developed as well as developing. Food prices have been at the center of Indian inflation, having grown the most followed by fuel prices. In contrast, manufactured product prices have increased relatively moderately. » Between 2003-04 and 2007-08, India experienced a phase of ‘investment-led’ growth, during which investment expenditure grew rapidly and the investment to GDP ratio increased from around 25 per cent to 33 per cent. After 2008, however, the two overlapping categories of investment which drove this process, namely private corporate and manufacturing investment, have completely stagnated. A similar six-year phase of collapse of investment separated the 2003-04 to 2007-08 boom from the one experienced in the early 1990s. » Indian GDP growth, which appeared to have revived after the initial slowdown in 2008-09 in the immediate aftermath of the outbreak of the global crisis, has in the last two years reflected the emergence of recessionary tendencies. The most spectacular decline has been in industrial output growth which has collapsed completely since the second quarter of 2011-12. Rarely has India seen such poor industrial performance over a two year period as is now being witnessed. As a consequence, the long-term pattern of Indian growth being narrowly based on services and construction rather than manufacturing has been reinforced. In the last two decades, over 73 per cent of real growth has come from services and construction and this share became 90 per cent in 2012-13. In other words, it is the growth of these sectors that has still held up GDP growth. However, even in their case there are signs that all is not well. In an earlier six-year phase ending in 2002-03 when both industrial and agricultural performance turned adverse, services growth accelerated indicating its relatively self-propelled nature. However, no similar acceleration has taken place this time, some services like hotels and restaurants have sharply slowed down since 2008, and overall services growth has also moderated in the last two years. Construction, which was growing at nearly 13 per cent per annum before 2007-08, seems to be also losing steam. The sector’s growth which was averaging about 6.5% since 2008 has come down further to 2.8% in the first quarter of 2013-14. Indian capitalism’s increased integration with the global economy has been an integral aspect of its accumulation regime of the last two decades, though it has its specificity. Global economic conditions in the run-up to the crisis of 2008 played a very important role in making and sustaining the phase of very rapid growth that India witnessed during this period. The fast growth of exports of both goods and services, the significant flows of remittances and burgeoning capital inflows were very much integral to the making of that growth story. With global conditions having turned more adverse and capitalism’s crisis showing all indications of remaining entrenched, Indian capitalism’s room for maneuver has also become more restricted. » The combination of macroeconomic difficulties that the Indian economy faces cannot possibly be understood through a purely aggregation analysis since. Indeed at that level they may also appear to be inconsistent with each other. A current account deficit implies an excess of aggregate expenditure over income and the consequent accumulation of foreign liabilities. Inflation too tends to suggest a situation of expenditure exceeding the available output. However, a widening CAD is also supposed to have a moderating effect on inflation insofar as it absorbs part of the ‘excess demand’. If therefore demand and expenditure are running so far ahead of output and income, why are growth and investment floundering and why does the industrial sector have large underutilized capacity? If sense has to be made of this paradoxical combination of phenomenon, then one has to go beyond the aggregates and look at the class nature of the process of economic expansion observed over the last two decades for which neo-liberalism has provided the background, by deliberate design as well as by default. One of the singular features of Indian growth since the early 1990s has been its association with the exceptional expansion of India’s private corporate sector – the domain of the big capitalist class. At least till 2007-08, the corporate sector grew faster than the rest of the economy, and this gap was greater in the periods of higher growth. Till the early 1990s, the corporate sector share in India’s NDP stayed at or below 15 per cent, but this increased to nearly a quarter by 2007-08. In the high growth phase from 2003-04 and 2007-08 the corporate sector grew at nearly 15 per cent per annum in real terms. In other words, corporate growth has never in independent India been as rapid as has been the case under neo-liberalism. What was also a significant aspect of this growth of the private corporate sector was the highly concentrated nature of its distribution and in a double sense. The entire increase of the share of the corporate sector in total income was on account of its surplus (profit, rent and interest) component as compensation of employees increased at the same rate as the overall economy. In other words there was a massive redistribution in favor of surplus incomes within the corporate sector. This is what enabled private corporate savings (retained profits of companies), which had never really gone above 2 per cent of GDP before 1991, to cross the 9 per cent level. In addition, while lakhs of companies populate the private corporate sector, more than half the total of rapidly growing profits was shared between a few hundred companies belonging to an even smaller number of business groups or houses. The private corporate sector of course always accounted for a very small fraction of total employment in the economy and this picture has not changed in the last twenty years. Formal employment in the private organized sector in India is about 12 million, up from about 7.68 million in 1991, when the estimated size of the labor force is about 450 million and over 750 million are in the working age group. Even this growth of private sector employment has happened alongside a parallel shrinking of public sector employment. There has of course been additional expansion of employment in the private formal sector of an ‘informal’ or casual kind. Even taking this into account, it is quite clear that the rapid growth of the corporate sector has made no dent on the informal sector dominated employment and labor-surplus situations of the Indian economy. On the other side the largest employer, the agricultural sector has found it increasingly difficult to sustain a process of rising incomes for the population dependent on it. The spill over from that sector has been swelling the non-agricultural informal sector. Depressed agricultural incomes and a large labor-surplus situation have meant the operation of a strong wage-depressing tendency. Testimony to this is the complete stagnation of real wages even in India’s organized factory sector over the last two decades. Thus, the working class and large segments of the peasantry in India have been stuck in a low-income trap for which there is no self-correcting tendency. Even schemes like the NREGA which came in the later part of the neo-liberal regime have only made a marginal difference to this situation – agricultural wages have increased a little since 2008 but only after being frozen for more than a decade. Thus for India’s labouring population, a income and employment crisis has existed from much before the current crisis and through even the period of the biggest boom in Indian capitalism’s history since independence. Wage stagnation and depression has in fact been a critical linchpin off the accumulation regime under neo-liberalism. It has enabled intensified exploitation of the working class as rapid increases in productivity have swelled the surplus and profit share. Indeed, the squeezing of the wage share has allowed this result of swelling profits to be achieved alongside a rising trend in the salaries of white collar employees with higher levels of education in the private corporate sector. This cleavage between two categories of employees has been replicated within the category of self-employed providers of services too (e.g. domestic helps versus self-employed professionals). The low wage economy and the consequent cheap availability of a range of labor-intensive services have thus effectively raised the real incomes of those with higher salaries and incomes. In many cases where such services are ‘produced’ on capitalist lines (e.g. security, sanitary or courier services or restaurants), it has allowed high incomes to be generated for some by enabling cheap and yet profitable provision of these services domestically. By keeping prices of non-tradable services low, low wages have also contributed to keeping the exchange rate lower than what purchasing power parity would dictate (a dollar thus buys less in the US than the rupees it could be converted into at the prevailing exchange rate can buy in India). This has reduced the dollar cost of production of exportable labor-intensive tradable services even when they involve large high salary employment as in India’s software sector. Wage and income depression have thus in many ways provided the foundation for sharply rising corporate profits and an enrichment of a diverse category of high personal income earners deriving their earnings from business and ownership of assets or as salaries and professional incomes. In response to the latter, public sector salaries also eventually went up and more so at the higher end of the salary range. The increasing concentration of spending ability implied by the trend in income-distribution has been reinforced by the processes of financial liberalization and opening up. Financial liberalization widened the disparity in access to credit even more in favor of the corporate sector and higher-income groups even as it facilitated credit flows to newer expenditures. Opening up also gave the Indian corporate sector access to international capital markets and foreign capital access to the Indian economy. The other side of this of course was the restrictions on the ability of the state to mobilize resources and to spend, a tendency moderated to the extent that increasing inequalities generated higher revenues without higher tax rates. The top-heavy growth of private spending ability at the top of the Indian economy also fueled spending on goods and services as well as assets by the private corporate sector as well as high income households. Many components of this expenditure were consistent with and reinforced each other and these created the conditions for the boom before 2007-08. The demand of the rich for assets was satisfied by the acquisition of financial assets and also real estate. The former facilitated, along with growing retained earnings, the financing of the rapid growth of corporate investment in manufacturing. This investment in turn, along with growing expenditure on construction as a result of the real estate boom, and the growing consumption demand of high income groups all also expanded the demand for manufactured products necessary for sustaining capacity expansion in that sector. Asset price inflation (in the stock market and real estate sectors in particular) fueled by large capital inflows strengthened these tendencies. While the growth of investment at breakneck speed was manufacturing centered, the contradictions in that accumulation process were expressed by the fact that this boom was accompanied by two other trends. The first was a sharply rising trade deficit that was initially driven most by rising imports of manufactured products and not so much oil and gold imports. The second was that though manufacturing growth performance was good, services and construction grew faster. In other words the expenditure pattern that was being generated by the boom also had an import-intensive and services intensive character – both of which were to in conflict with an investment or accumulation process so heavily concentrated on manufacturing and leading to rapid growth of capacity in that sector. In this way the boom itself set up the conditions for an eventual collapse of private corporate and manufacturing investment. Income-distribution trends inherent in it implied that those who might have spent an increasing proportion of their incomes on manufactured consumption goods with a high domestic value added component experienced an income freeze or depression, while those who could spend more spent on goods and services with high manufactured import content even as they simultaneously diversified their expenditure increasingly in favor of services. The faster growth of imports compared to exports also reflected a feature of India’s increased integration with the global economy, namely its inability to emerge as a competitive location for production of a sufficiently wide range of manufactured products (which had to depend on more than simply low wages). At the same time as the industrial sector was experiencing a growing disequilibrium between expansion of capacity and of demand, the agricultural sector faced a different situation. The structure of spending ability did not lead to demand for food increasing except an upper-income group based expansion in the case of meat, eggs and fish. However, unlike what was the case of manufacturing, investment in land constrained agriculture was also simultaneously constrained by that structure. The conditions required for those with means to invest in agriculture did not exist while those who could in the existing conditions did not have the means or the incentive to do so. Poor agricultural performance, the agrarian crisis, and the increasing entrenchment of speculative tendencies in the economy contributed to the emergence of food price inflation as a way of resolving this particular disequilibrium. Trade in food also added rather than ameliorated this inflationary tendency. The collapse of investment and growth (particularly of industry) and a food price driven inflationary process were thus the products of the accumulation regime of Indian capitalism under neo-liberalism. The collapse of investment in turn has a reinforcing effect on the industrial slowdown as investment is also a major source of manufacturing demand. The previous investment collapse in the second half of the 1990s was also accompanied by industrial slowdown. However, while the current slowdown too has moderated the growth of imports of manufactured products, this time has not resulted in correcting the current account imbalance. Instead the CAD has increased dramatically with the consequence that the significance of the growth and investment collapse and high inflation has become even more severe. India was in some senses an outlier among developing countries in the period before the global crisis. The larger pattern in that period was of rapid net export growth of developing countries and an explosion of what was called the process of capital flowing uphill - net capital exports from them the Third World to advanced capitalist countries. Most third world countries saw their current account positions improving – reduction in deficit or a surplus – on account of fast growth of exports of manufactured products or primary commodities. India too saw a pick-up of growth of manufactured products and some primary products like iron ore, mainly on the basis of growing demand from other developing countries, but its imports grew faster. This difference was so sharp that despite the extraordinary growth of the invisible surplus, the current account gap increased – a pattern of movement in that phase more typical of advanced capitalist countries than among developing countries. However, the fact that invisible kept the CAD within limits was important for ensuring capital inflows into India, which were so large that they not only covered the deficit but also led to rapid accumulation of reserves. The rupee in fact appreciated during this period despite the widening current and trade deficits – a US dollar was worth about Rs. 48 in early 2003 but fell to below Rs. 40 in 2008. However, given that India was not a major destination for export-oriented FDI, volatile and speculative capital inflows dominated imports of capital into India. The collapse of investment did not resolve the problem of a growing CAD imbalance for a combination of reasons. On the one hand, since it coincided with the onset of the global crisis, the CAD reflected the adverse effects of the crisis on exports and invisible earnings. The heavy dependence of the latter on demand from advanced capitalist countries, particularly the US, made conditions more difficult. Import growth however still continued. Partly this was on account of oil imports with spikes in oil prices at times adding to the problems. Global economic conditions also made the global market place more competitive intensifying the import competition faced by Indian industry. There was an arresting of the rising trend in the manufactured imports to GDP ratio, which saw it go up from below 5 per cent in 2003-03 to over 10 per cent by 2008-09, but not a significant reversal. At the same time a crucial development was that the collapse of the boom induced a shift of some of the asset demand of high income groups towards gold, which is entirely imported. The ultimate result of all of these was that after 2008, India’s current account moved in the same direction as other developing countries and its deficit did not shrink in line with the trend of the advanced capitalist economies India was following before the crisis. With capital inflows not being enough to more than cover this gap, a trend of depreciation of the rupee through periodic episodes of the kind seen recently accompanying the stagnation or even decline in foreign exchange reserves has set in since 2008. How the state will respond to the growing economic imbalances inherent in the accumulation regime will of course be affected by the operation of the fundamental class imbalances of Indian capitalism. These fundamental balances have been reinforced by neo-liberalism which tends to circumscribe the autonomous role of the state and privilege private capital. In times of crisis in that regime, the immediate effect is their further fortification as the state’s dependence on private capital to revive the fortunes of the economy tends to intensify. What is being witnessed today in India is precisely this intensified pressure on the state to improve the ‘state of confidence’ of foreign and domestic capital a desperate attempt to keep the tap of capital inflows open and reviving corporate investment – giving rise to a drive towards ‘austerity’ on the one hand and more neo-liberal ‘reforms’ on the other. The desperation of the state, however, ultimately reflects the desperation of capital to revive the accumulation process which has served it so well. If economic policy making remains trapped in the logic of neo-liberalism it can do little to correct the imbalances inherent in it. Only the active use of fiscal policy and not minimalism can change the fundamental structure of spending towards greater balance. Those imbalances we have seen do not also spontaneously create a process of smooth self-correction but in fact can give rise to a process of reinforcing them. The Indian rupee first appreciated despite a rising CAD while the reversal in that trend of the rupee has not achieved the same for the current account. The tendency for rupee depreciation in fact has acquired a self-reinforcing nature as it simultaneously spurs inflation given India’s large dependence on oil imports. Since per-capita oil and energy consumption in India are already among the lowest in the world, that this rise in fuel prices would curb demand and therefore imports is unlikely. Moderation of fuel price increases by subsidies or by reducing the heavy taxes on them are also unlikely in the face of austerity. The possibility of rupee depreciation also means that for the corporate sector, the scope for financing investment through external commercial borrowing is becoming more risky at a time when domestic interest rates are also being kept high for the same reason. This makes a revival of corporate and industrial investment even more difficult. Slack growth also has an adverse impact on tax revenues which makes the severity of austerity greater. Fiscal austerity achieved at the cost of a sustained large CAD, high inflation and slack growth and investment may not be sufficient to maintain the ‘confidence’ of foreign investors even as the dependence on large foreign capital inflows will be great. Each of these problems will have a dampening effect on expectations about the Indian economy and the Indian rupee. Acting together or in combination, their effect can be lethal – inducing not inflows but outflows. If they persist for some period of time then they would make India a prime candidate for facing and triggering a currency crisis and its associated economic turmoil. Such a currency crisis may be the form in which the crisis created from within the accumulation regime expresses its fullest capacity for devastation. Even if the Indian economy fortuitously avoids such an extreme eventuality, however, the crisis of the regime itself will not be resolved by such an escape.